It seems like we jumped the gun a bit over the limited edition 100 Club Fred Perry polo shirt and gave out information we perhaps shouldn’t have done. The limited edition shirt was actually an exclusive for members of the company’s mailing list and was not intended for general sale due to limited numbers. Anyway, those nice folk at Fred Perry have relented and given us a link for you all to buy it (it’s not on the Fred Perry website), so now you really can pick one up, but only if you follow our link. 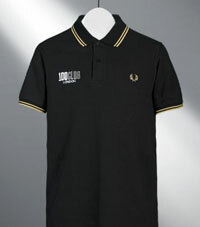 We’ve also heard rumour of another special Fred Perry limited edition – but if we told you now, we’d have to kill you. All information in due course – and first – on Modculture.